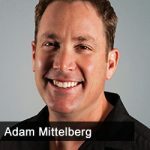 Jason Hartman talks with Adam Mittelberg, Chief Marketing Officer at DataBlockChain.io, about how companies will be able to leverage blockchain technology with big data and help small businesses while being much more credible. Tracking what’s being done with data will become better and better, so neither side will feel like they’re being taken advantage of, the cost will come down so smaller businesses can start competing with the “big boys”, and an invitation to experience DataBlockChains Minimum Viable Product. [3:25] What are the use cases for DataBlockChain? [11:24] What does this market look like in 5-10 years?